Start my travels to Melbourne in september! i own my own travel company in melbourne and darwin i have been in the industry for many years i know all the companies products cheap ways on getting around i mostly deal in the backpacker travel for australia new zealand and fiji and im more than happy to give free advice. » Ask cheap az a question about Australia. 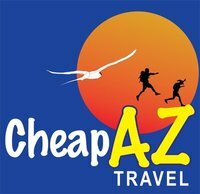 cheap az hasn't been active in the wiki travel guide yet. Have you?